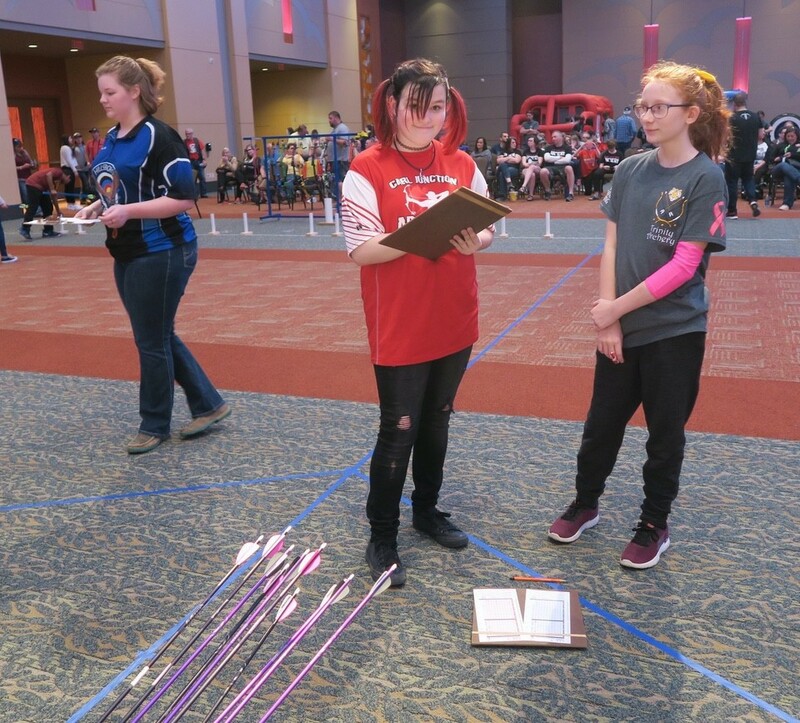 At least 100 children stood on a line in the Branson Convention Center, facing archery targets that stood 15 meters away. Hands on their bows, they waited for the command to shoot. And then, they let the arrows fly. Five arrows in 2 minutes. 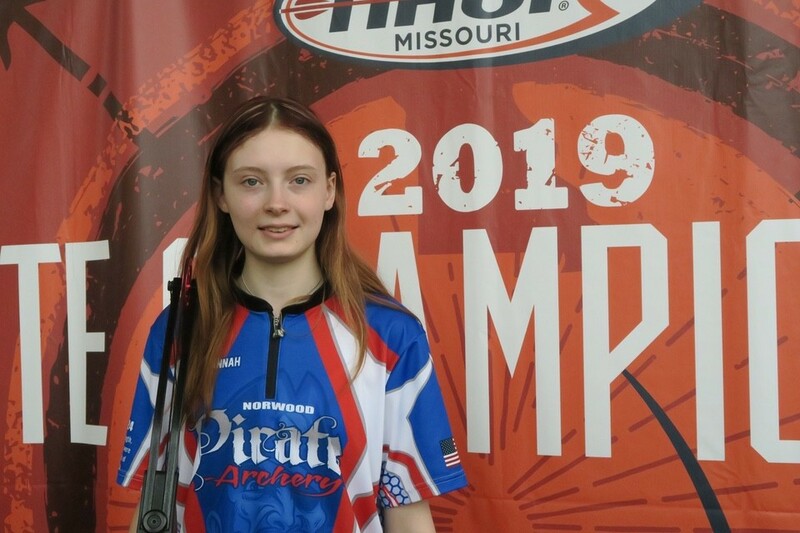 I’d never heard anything like that thwack, thwack, thwack, as the Missouri State tournament for the National Archery in the Schools Program (NASP) continued. I’ve been a little league mom for years and years: soccer, baseball, basketball, lacrosse. I’ve never heard or seen such silence and civility in place, from the crowd and parents of children, as I witnessed at this event. It was refreshing. It was all about focus. Founded in 2002 in Kentucky, the NASP has reached more than 18 million students between the ages of 4th and 12th grades, in 47 states and several countries. 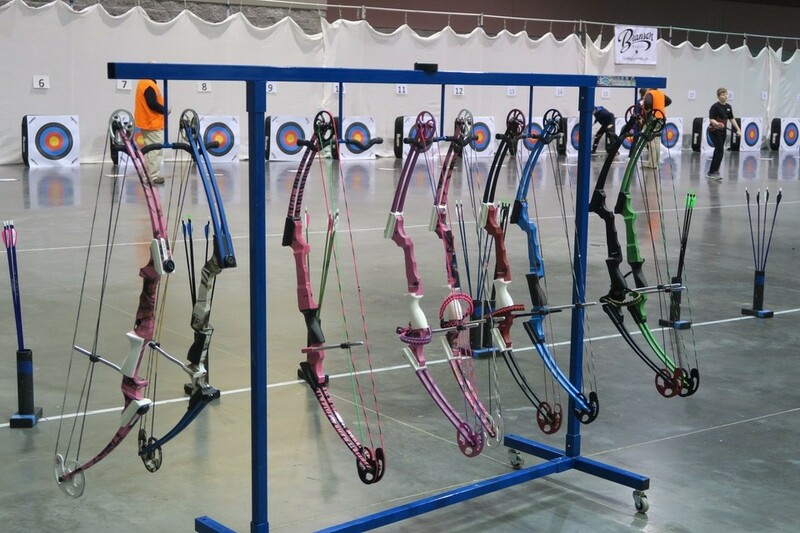 A joint venture, set up to connect schools and state agencies, the NASP trains students in skills surrounding Olympic archery and 3D archery. With professional educators aligned with the community, and with state resources in play, the program occurs in the schools and is now a 501 c(3) non-profit education foundation. Proponents of the program claim students learn “focus, self-control, discipline, patience, and the life lessons required to be successful in the classroom and in life” through the critical thinking skills acquired. 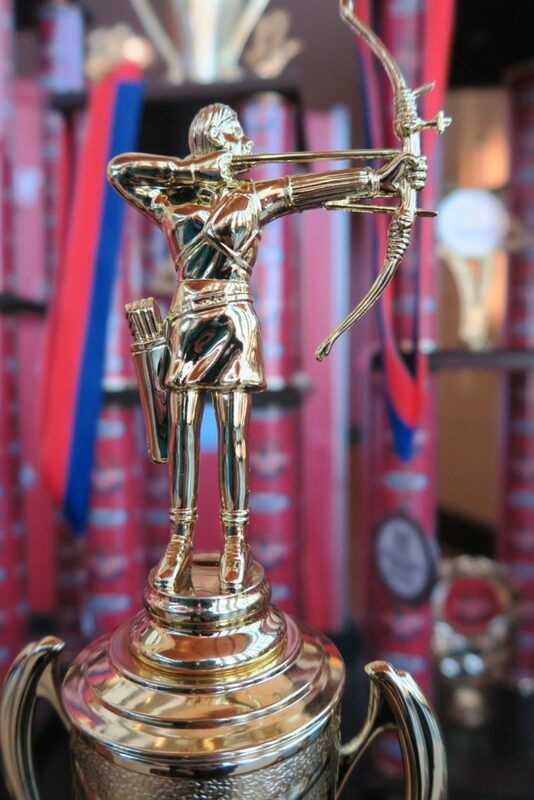 In 2015, NASP added the Academic Archer Program, which recognized academic achievements of NASP participants. Students enrolled in the Academic Archer Program are automatically registered to win 1 of 10 free Genesis bows and specially marked Easton arrows annually, along with a certificate. Some schools opt for patches, like winning athletic letters for letter jackets. Also, the designation is sure to help a student when applying to college. 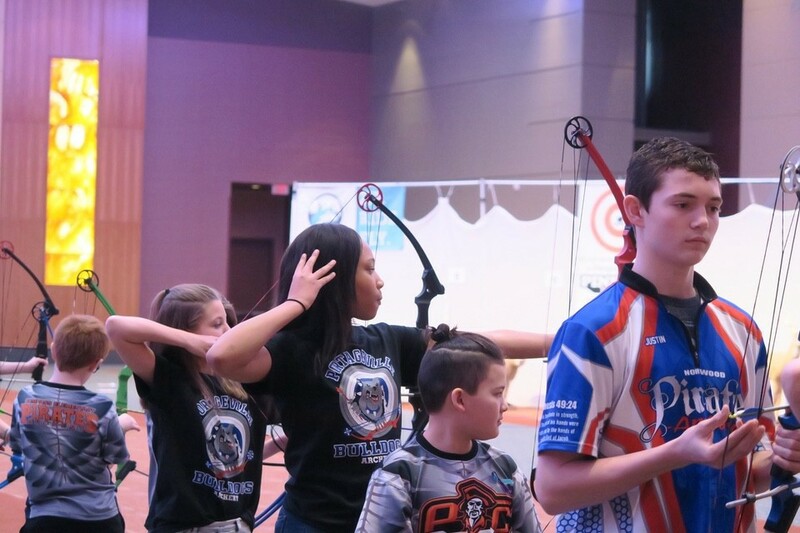 It should be noted that NASP also allows homeschooled archery teams to compete, but teams are required to meet for academic reasons, as well. NASP is available to any student, regardless of athletic availabilities. The beauty of this sport is that children with asthma, and children in wheelchairs can be on the line with their peers at competitions. Children who might never have an opportunity to compete in any type of sport can become successful at archery. Studies have shown that learning a life skill, such as archery, will improve children’s focus in a classroom, too. Archers use Genesis bows, developed by the Mathews Bow company, which is a single cam bow with the energy of a 30-pound recurve. It weighs 20 pounds, and is easy to shoot. Children between 4- and 6-feet can shoot the bow easily. As they progress through the program, they may find that they want to compete in archery at the collegiate level, and some of the participants have gone on to become Olympic athletes, as well. College scholarships are offered, in archery, too. One coach in the promo video said they put words such as “morals, ethics, integrity, honesty,” on the arrows’ fletchings, and said they talk about these qualities; as the students nock their arrows, they think about shooting the arrows down to the targets, and that it’s a choice they make that they cannot take back. Another beauty of this program is that it allows children from small towns to compete right alongside teams from large cities – which is something that doesn’t happen in the class-system of high schools in this country. At the recent tournament in Missouri, more than 3,000 students competed, from 207 schools, and 14,000 spectators showed up to the Branson Convention Center. The economic impact was estimated at about $6 million. I don’t think they can put a price on the intangible benefits of learning a life skill such as archery, along with the other values. If you’re interested in learning more about the NASP for your child’s school district, check out NASP online.